In a move that excited many DSO and Furthur fans across the country, Phil and Friends have pulled off a trade for Rob Barraco, keyboardist for Dark Star Orchestra, sending keyboardist Jeff Chimenti to the chilly east coast to play four DSO dates in New York, Maine, and Massachusetts and Connecticut. This manifestation of Phil and Friends is called The Q, and they have played together as The Phil Lesh Quintet (which is where the "Q" comes from) – touring together for three years and putting out a studio album called There and Back Again in 2002 under the Phil and Friends moniker.Barraco will be joining bassist Phil Lesh along with Warren Haynes (guitar – Gov't Mule/The Allman Brothers), percussionist John Molo (Bruce Hornsby, The Other Ones, Moonalice) and guitarist Jimmy Herring (Col Bruce Hampton and the Aquarium Rescue Unit, Widespread Panic, Allman Brothers, The Other Ones) for four shows (Thurs, 12/6/12 through 12/9) at Terrapin Crossroads, Lesh's intimate music venue in San Rafael, CA that has been open for less than a year, but has already hosted epic performances, including the first "official" concerts, a run of 12 consecutive Phil and Friends shows from March 17 to April 1, 2012.At the same time, Chimenti will be in the northeast giving fans in Albany, NY (12/5), Portland, ME (12/6), Wallingford, CT (12/7), and Lowell, MA (12/8) a thrill by joining Dark Star Orchestra = This will be the first time Chimenti has played with Dark Star Orchestra in their entirety, but Chimenti. 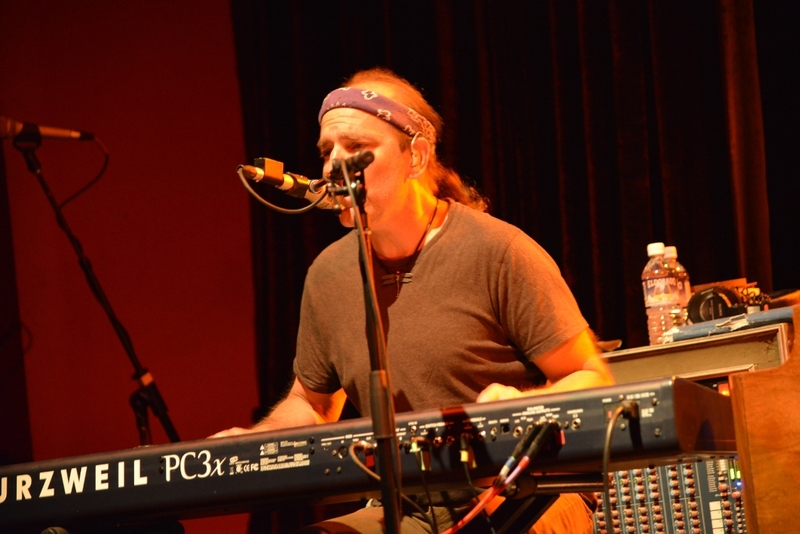 Jeff Mattson (DSO guitarist) and Barraco have played together before, when ex-members of The Grateful Dead reformed as The Other Ones (2002) and the Dead (2003).Barraco, of Zen Tricksters fame, has been playing keyboard and guitar since the age of 6 and is an accomplished career musician, playing for over ten years as the keyboardist for the hit television series The Cosby Show and its spin-off A Different World. After joining the Zen Tricksters, putting out two albums and touring across North America, Phil Lesh got ahold of their second album A Love Surreal and asked them to play some shows in San Francisco and join Phil Lesh and Friends on their now legendary tour with Bob Dylan (with a lineup consisting of Mattson, Lesh, Barraco, Haynes, and Derek Trucks). He has played with Phil Lesh and Friends numerous times, most recently in costume at a Phil and Friends Halloween show. Chimenti, who has played with Ratdog, Les Claypools Frog Brigade, and The Dead, among others, is an accomplished career musician himself, best known for his work in RatDog. From San Francisco, CA, Chimenti began playing piano at age 4 and started lessons at seven, continuing through high school. He played in local jazz bands in San Francisco after high school, performed in the Monterey Jazz Festival for seven years, and even played back up for pop act EnVogue’s first tour (backing M.C. Hammer). He joined RatDog in 1997 after playing in a jazz quartet with saxophone player Dave Ellis, who was in the band at the time. After doing a couple of gigs with RatDog, the soft spoken Chimenti, who had not listened to much Grateful Dead at all, inquired about a slot in the band and luckily, they were looking for a keyboardist in the area who could travel. Since then, he has played the Hammond B-3 with a list of musicians too long to print.DSO's website states, “Dark Star Orchestra are thrilled to work together with the Phil Lesh camp at this capacity and are equally excited to perform four shows with their guest keyboardist, Jeff Chimenti.”, and judging from the chatter on line, it looks like DSO fans and Phil and Friends fans alike are excited about seeing what these two musicians come up with when they trade slots on the bench for a few days.